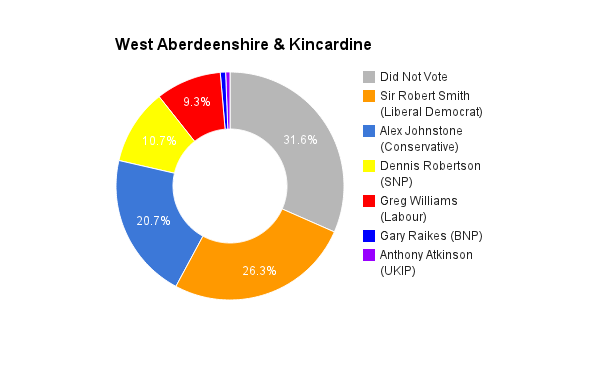 West Aberdeenshire & Kincardine is a Scottish Constituency. The seat was created in 1997. The current member of parliament is the Liberal Democrat’s Sir Robert Smith who has held the seat since 1997.